She's Silver 15.2 hand chestnut Stakes Producing TB Mare by SILVER HAWK out of Black Type winner Guilty Miss. Silver herself is a winner with earnings of $19,761. 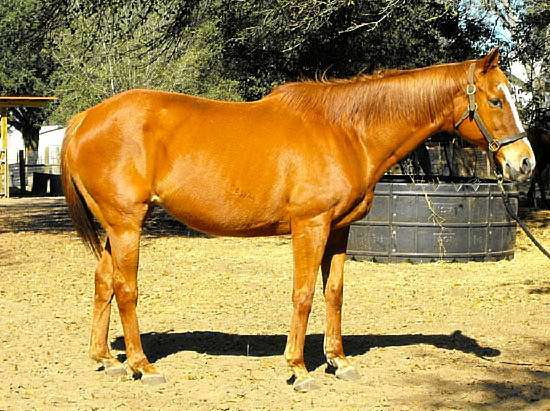 Dam of 11 foals 9 to race 4 winners with one Black Type Placer, Arsen, with earnings of $252,020 and one Steeplechase stakes winner, Kilbride Rd, with earnings of $144,360.00. Total US Progeny earnings of $444,971 with additional earnings in Venezuella. 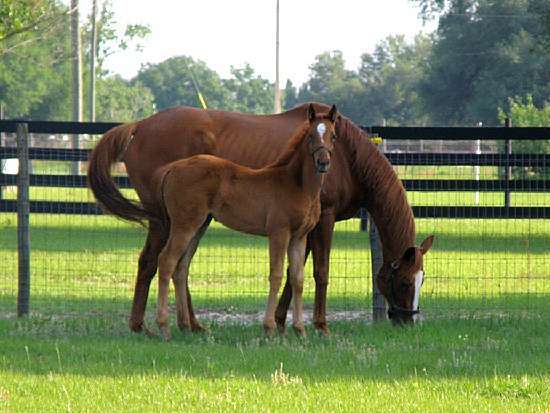 Silver gave us Skyrocket Rose , a beautifull filly, February 24, 2010 by the hot new stallion GAFF by MARIA'S MON out of Ionlyhaveeyesforu by Tunerup. Silver gave us a lovely filly by STRAIGHT FACED on Feb 16, 2011. 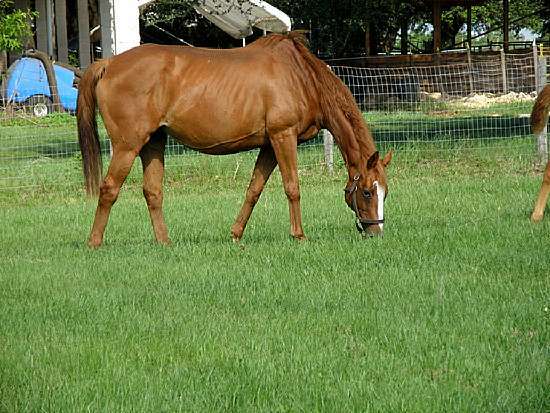 Silver foaled a big handsome colt, Twosteppincowboy, by TWO STEP SALSA on January 25, 2012.